Spotlights There are 4 products. 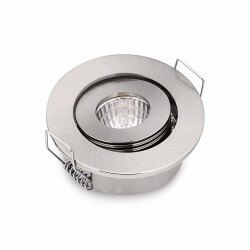 Item type: COB LED ceiling light. Body color: white. Material: aluminum. Wattage: 3W / 6W Size: 85 * 34mm. Hole size: 68mm. Voltage: AC 220V Power source: AC Luminous flux: 3W-270L / 6W-500L Emitting color: warm W white: 3000-3500K Certification: CE, RoHS, SAA, UL Warranty: 3 years. Please select an option. 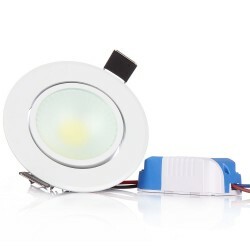 Item Type: COB LED ceiling light. Material: aluminum. Body color: white. Size: 85 * 34mm. Hole size: 68mm. Voltage: AC220V Wattage: 3W Power source: AC Luminous flux: 3W-270L Emitting color: warm white: 3000-3500K / cold white: 6000-6500K Certification: CE, RoHS, SAA, UL Please select an options.